dance down memory lane to the Oscar winning Annie Get Your Gun! 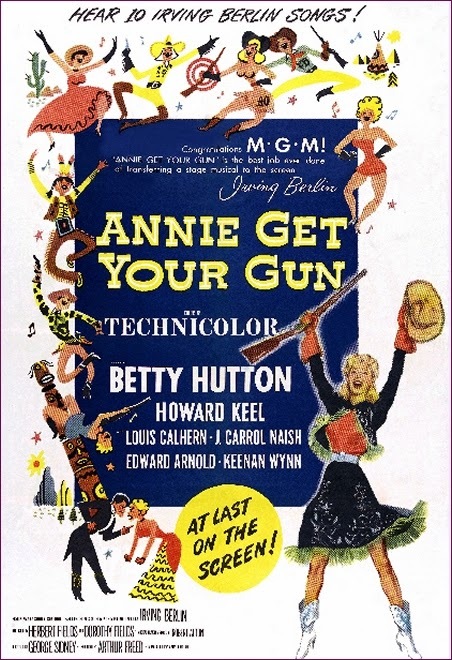 Betty Hutton stars as the great sharpshooter, Annie Oakley in this toe-tapper that will have you humming your way home to tunes like ‘Anything You Can Do…’ and ‘There’s no Business Like Show Business’. And remember - tea and home bakes will follow the screening - and all for only £2.50! Take a look at the Cinema Nairn Blog for details of the new Programme for 2015, and look out around town for the Cinema Nairn flyers, giving full details of all the films to come in 2015.